only two miles from Saipan, and Guam located 100 miles [south] of us. All islands were 1500 miles from Japan with the Japanese stronghold, Iwo Jima, being midway. When we arrived on Saipan, it was hot and rainy. We spent a few days in tents while we built quonset huts near the shoreline to live in. The officers and enlisted men lived in separate huts but close to each other. Showers were saltwater and located on the beach. We filled our canteens from steel drums. The food was all canned—no fresh food. Flight lunches were individual packets of canned food called K-rations. We dug trenches outside the huts that we could get in if we had air raids. On November 2 at 0130 Japanese bombers dropped bombs for the first time. There were plenty of scares, but no aircraft destroyed, and two enemy were shot down by antiaircraft guns. We got bombed or strafed every few nights. The strafing was the worst. The enemy planes would come in low under the radar and start shooting. I remember one night we awoke with tracers going by the end of the hut. I was the first one in the trench and landed on the bottom with three or four guys lying on top of me. I thought the bullets would have to go through them before getting to me. I did not even notice the coral digging into my back. Those raids did kill some people and destroyed aircraft. At night we took turns guarding the aircraft. Usually an officer and an enlisted man paired up to guard against Japanese still hiding in caves. One night in December, I was guarding our plane with an officer when the plane next to ours was hit by a rocket, fired from an attacking plane, and started burning. We got out of the bunker and ran to escape the coming explosion. After a big raid on us New Year’s Eve the raids ended, due to B-24s bombing the airfield on Iwo. 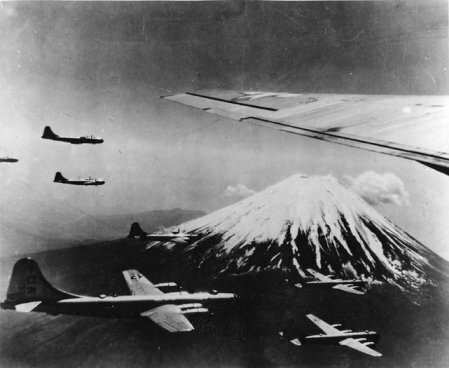 Planes would fly from Japan to Iwo, land, refuel, load bombs, and bomb us. B-24s were given the job of keeping the airfield on Iwo knocked out. They dropped bombs every hour and the Japanese could not fill in the bomb holes as fast as the B-24s made them. We flew two practice missions to enemy occupied islands. The Marines made certain there could be no possibility of a tipoff from Japanese holdouts on Saipan by conducting a “rabbit hunt” around the runways, which netted them over 200 killed. Then the planes were loaded for our first mission. Bad weather caused delays, but finally on Thanksgiving Day, November 24, 1944, 100 aircraft in nine plane formations, flew over Tokyo and dropped bombs on an aircraft factory. This raid was the first such attack since the Doolittle strikes in April, 1942. 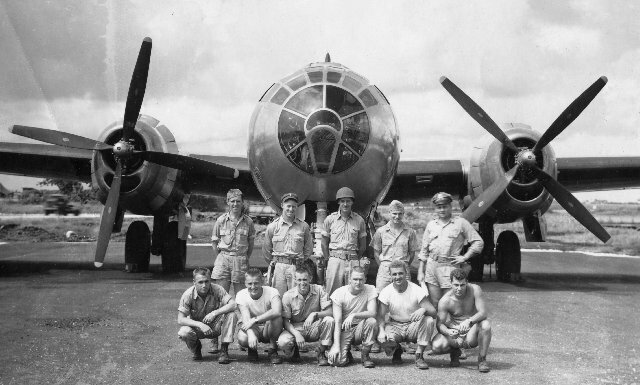 The B-29 was under-powered, and taking off fully loaded with fuel, bombs and ammunition was hazardous. We had a 10,000 foot runway ending with a 300 foot cliff drop-off. All of the runway was used, and sometimes the 300 feet altitude that could be lost before hitting the water saved us. We flew low altitude to a climb point off the coast of Japan and then climbed to 30,000 feet bombing altitude. We had never made a maximum weight takeoff or been higher than 25,000 feet until that first mission. Flight time was 15 hours [round trip]. We saw many enemy fighters, but only had a few attacks on the first mission. On our third mission the fighters were more aggressive, and I shot down the first confirmed fighter in our Squadron. I shot down two others on later missions. The Japanese were doing anything to knock us down. They put up heavy flak, swarms of attacks, kamikaze rams, and even dropped phosphorous bombs above our formations. Major Krause was our well-liked operations officer. What happened to him as stated in official records illustrates their determination. A Japanese Tony came in head-on with a closing rate of 700 mph or better, slightly high with guns blazing. The top gun sight blister blew off from gun fire, probably killing the gunner instantly. The right side of the ship, from nose to leading edge of the wing, was torn open with a gash three feet wide and emitting a sheet of yellow flame, no doubt killing co-pilot, engineer and radio operator. Parts and pieces of equipment came flying out of the wide cut in the side section. It is possible the Tony rammed the nose with his right wing, no one knows for sure. The ship held formation for 30 seconds, then dropped out abruptly losing speed and altitude faster than accompanying planes could slow down for her. Fighters swarmed in from all sides, levels, and directions, each pressing home their attacks, trying for the kill like a bunch of hornets. At approximately one minute from the time T-Square 25 left formation, a Tony rammed it on the right side knocking off parts of the wing and either No. 3 or No. 4 engine, which came off and tumbled through the air. This was at an altitude of 28,000 feet and they were going down fast when another Tony rammed them from underneath in the belly near the gunners’ compartment. They finally went out of control and were heading nearly straight down until last seen at 20,000 feet. None of the crew was reported to have bailed out. Nine Japanese Tonys were seen to be shot down by the crew of T-Square 25. On a mission to Tokyo in February of 1945, we were under heavy fighter attacks when a 20mm cannon shell exploded against the fuselage just above my head. It knocked the plexiglass blister out and I hit the gun sight with my chest breaking it off as I was blown* outside the plane. I was pinned against the outside of the fuselage by the slip stream. The only thing that saved me was the seat belt. It was just above my knees, holding my legs inside from the knees down. The rest of me was outside. God gave me superhuman strength and I got my hands on the rim where the blister was mounted and pulled myself back into the ship. The slip stream had stripped my flak vest, helmet and oxygen mask off, and tore the oxygen hose off the outlet. I had to have oxygen or pass out in 30 seconds and die in 3 minutes. Again, God came to my rescue. I unsnapped the seat belt, ran into the radar room where there was an extra outlet and mask and got on oxygen. The plane took more hits; the controls were shot out, and the order came “Prepare For Bail Out.” Everyone was getting their chutes on. Mine was blown out in the explosion so I was trying to put on the spare, but it did not fit and I could not adjust it. In sheer desperation, I grabbed the radar operator and pleaded, “Don’t leave me!” He adjusted the chute for me. The pilots regained control of the plane by alternate controls and canceled the bail out. Outside of some small shrapnel in my hands and neck, I was in good shape when we landed. The flight surgeon picked the flak out and gave me a tetanus shot. I thank God for saving my life. When word got around about what happened, for several days people would yell at me, “Hey, Reynolds. Don’t leave me!” Followed by loud laughter. A Wing of B-29s moved into Tinian across the water about two miles from us in January, 1945. They flew a few bombing missions and then switched to dropping mines. We were envious of their “milk runs” as we called them. Dropping mines in harbors could not be as dangerous as bombing Tokyo. One night I was sitting on the hillside that faced Tinian to watch an outdoor movie. The Wing started taking off on a mission. Just as the first plane got a short distance from the runway there was a blinding flash and the aircraft blew into a million pieces. The second and third — the same thing. Ten out of the first fifteen planes blew up before the takeoffs were stopped. It was the most horrifying thing I ever saw. Later we learned the mines they carried were detonated by sound, and the salt air had affected their fusing, causing aircraft engine noise to trigger the explosions. In January, 1945 we lost an engine soon after takeoff and aborted the mission. The standard procedure was to salvo the bombs, and land. But our crew had worked hard the day before using hand-cranked hoists to load the bombs, and hated to see all that work wasted. Why not land with the bombs and use them on the next mission? The pilot requested permission to land with the bombs. Permission was granted. The weather was dear with gusty winds. As the plane neared the cliffs, which as also the end of the runway, the wind abruptly decreased. This caused the heavy plane to drop onto the runway extra hard. The gasoline tanks located in the wings were almost full, and the hard landing ruptured the inter-connections between the tanks. Gasoline poured from the underside of the wings as we rolled down the runway. Engines and electrical power were quickly cut off to prevent a fire. The airplane was stopped. We evacuated and ran a safe distance from the gasoline-leaking ship. Crash crews hosed down everything. A refueling crew unloaded the remaining gasoline. The plane was towed to a hard stand and we unloaded the bombs. 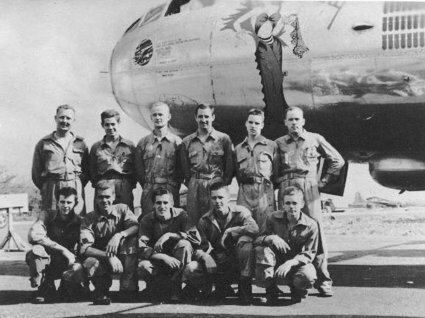 The next morning the eleven-member flight crew reported to the crew chief and were given screwdrivers. The bottom wing panels had to come off so the mechanics could repair the connections. There were easily 1000 long screws on each wing that held the panels in place that had to be removed. After repairs by the mechanics, we reinstalled the panels and screws. There were a lot of sore hands and arms when it was over. To my knowledge no aircraft was ever allowed to land with bombs again. Our mission to bomb industrial targets was costing heavy losses. Some missions were running at ten losses. Also, we were not hitting the targets. Weather was the main problem. Clouds covered the target area time after time. Frequently, 200mph jet streams played havoc with the bomb runs. If it was downwind, the ground speed was greater than what the bomb sight was designed for. Upstream antiaircraft fire was deadly or the planes ran low on fuel to return home. The Air Corps Commander, General Arnold, decided a change in the command was in order. He assigned Major General LeMay, the most innovative Air Corps General of WWII, as Commander [of the 20th Air Force]. The General and his staff made a study and found that a high percentage of the buildings in Japan were constructed of wood. Also, there were very few antiaircraft guns suitable for defense against low altitude attacks. New tactics, copied after those the British used against Germany, were developed. Instead of high altitude precision bombing against industrial targets, it would be low altitude night area bombing of the cities, using incendiary bombs to burn them down. March the 9th of 1945 was the first mission. 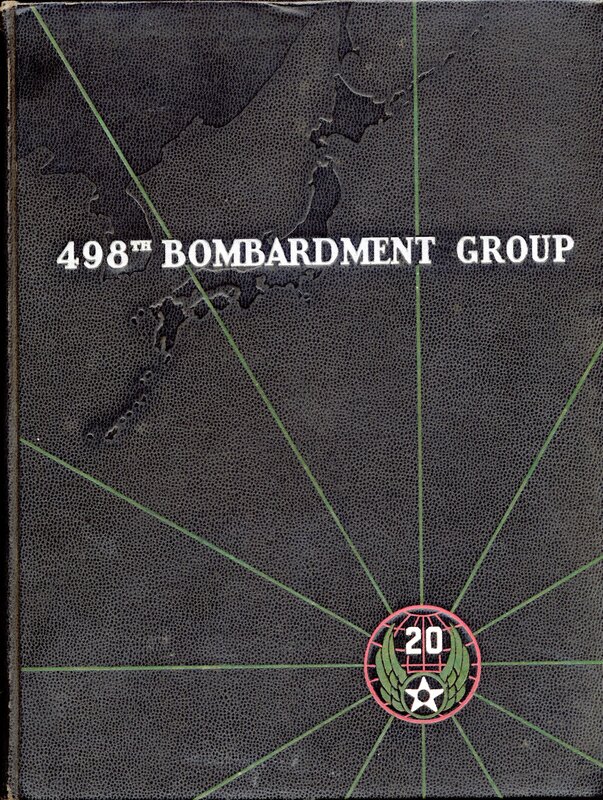 Bomber streams of 300 planes from Saipan, Tinian, and Guam, their first mission, bombed assigned sections of Tokyo at 7,000 to 8,000 feet altitude with incendiaries. The glow from the fires could be seen for over 100 miles as we flew home. Fifteen and a half square miles, an area equal to Dallas, Texas, was laid waste. Within ten days five raids had taken place against the major cities of Tokyo, Nagoya, Osaka, Kobe and Nagoya the second time, causing incalculable damage. Aircraft losses were low. Fire bombing was such a success it became the tactic that destroyed Japan’s war capability. The fire raids were frightening to the bomber crews. When we arrived over Tokyo it was a sea of fire. Looking down at it, we knew if something happened to the plane we would have to parachute out and would probably land in the fire. What was terrifying was to get caught in the heat thermals from the burning fires. The airplane would suddenly shoot up 1,000 feet in altitude and just as suddenly sink 1,000 feet. We were tossed about like toys, with the pilot fighting for control of the plane. One plane was flipped on its back and miraculously the pilot got it righted. The fuselage and wings were warped. Another plane had the bomb bay doors torn off and one of them bent cross-wise with the leading edge of the wing and stayed there until the plane landed. A gunner on a new crew caught in a thermal was sure the plane was going down and he bailed out. Those thermals were much worse than any thunderstorm I was ever in. In March, 1945 we were taking off overloaded with bombs, as usual. We used all the runway and went off the cliff still below flying speed. We lost the 300 feet altitude from diff to ocean and skimmed along on top of the waves so close that the propellers were throwing water on the gunners’ blisters. The nose of the plane was unusually high, but the pilot had to hold that altitude or we would hit the water. The flight engineer said, “Everybody get up front!” The five of us in the rear scrambled through the tunnel and joined the navigator and radio operator in the cockpit. The airspeed slowly built up as the tail lifted from the shift of our weight, and the pilot managed to climb enough to get the nose down. Full power from the engines was only used for take-off which only took two to three minutes. The use of full power was not to exceed five minutes under emergency conditions because it could cause engine failure. We used full power for ten minutes. Target 357, the [Musashino] aircraft factory on the outskirts of Tokyo, had been our first mission’s target and we had been back several times, but had inflicted very little damage. Now our Wing was told to destroy that factory. Low altitude bombing had been so successful it was decided to try it on [target] 357 with 500-pound explosive bombs. 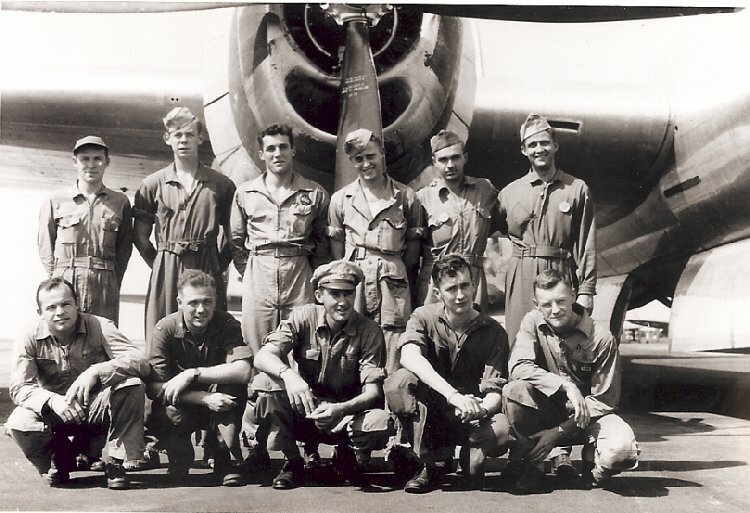 Easter Sunday, April 1, 1945 [Atkinson’s first mission] was the date I was promoted to staff sergeant and this was our crew’s 17th mission. Take-offs started at 0700 at 30-second intervals. We were near the end of the stream. The plane in front of us crashed on take-off at the end of the runway and bulldozers pushed the burning debris off the cliff into the water so we could takeoff. This caused a 45-minute break between aircraft arriving at the target. All antiaircraft guns knew our route and could concentrate on us. It was a beautiful fall moon, as forecast, and I could clearly see the small island in Tokyo Bay where we began the bomb run over. There was probably only one gun down there and their first shell knocked out No. 2 engine. As we proceeded, searchlights picked us up and shell blasts rocked the plane. The interphone went out, which meant the pilot could not communicate with us. Another engine on the other side went out. The bomb bay doors came open, the bombs fell out but the doors would not close. The plane turned left, as briefed, toward the coast. We ran out of [the] searchlights and antiaircraft fire. For a few brief moments it looked like we were going to make it. But in the center wing section a few sparks grew into a stream and quickly into flames. I grabbed a fire extinguisher and went into the bomb bay hoping I could reach the fire, but could not. With horror I saw flames licking around a hung-up bomb and knew we were doomed. I went back into the gunners’ compartment and said, “Let’s get out of here, this thing is going to blow up!” We proceeded to the rear escape hatch. The tail gunner had come forward and was crouched in the door. The last thing I did was take my .45 caliber pistol from its holster and leave it in the plane, thinking, they may kill me but not with my own gun. We jumped through the hatch one by one. I delayed opening the chute until well below the flames, now shooting past the tail. When the ripcord was pulled the chute opened with the expected jolt. I swung around to see the burning plane just in time to see it explode with a loud boom. A Japanese fighter had been trailing below and behind us, and he passed below me. I fell through his propeller wash which started me swinging violently. I fought the swinging, using the shroud lines, as taught in training. I observed a chute on each side of me, and tried to see where I was going to land. Suddenly, I was brushing tree branches and came to a halt with the chute caught in the top of a tree, but I was hanging in the clear. After my vision adjusted, it looked like I wasn’t very far off the ground, so unsnapping the harness, I lowered myself as much as possible and finally let loose and fell about ten feet. I thank the good Lord for getting me out of that burning plane and safely on the ground. It was 0400, April 2, 1945. I was on a hill and moved up to the tree trunk and sat down awaiting daylight. I was unhurt with only a couple of scratches. I had a lot of melted metal on my clothes, but no bums. It was cold, probably around freezing, but I wore a khaki uniform, covered by flight coveralls and flight jacket so I was fairly comfortable. I thought we were on the briefed withdrawal route from the target, and this must be the foothills of mountains northwest of Tokyo. When it got good and light, I decided to go toward one of the chutes I saw while descending. I found the chute but no one was there. So, I climbed up a hill, saw a village and a path leading to it and headed that way. As I approached the village, I saw someone on a bicycle. We both stopped. I saw it was a boy who must have been twelve to fourteen years of age, and approached him slowly and smiling not wanting to scare him. I had a couple of coins in my pocket and gave them to him. He turned his bike around and rode ahead of me a few feet. The path turned into a road. As we approached the village, an old man in a robe with writing on his long shawl was waiting for me. I saluted him and he bowed to me. He motioned me down the street. People started coming out of the houses and lining the streets, looking at me and laughing. A big teenager grabbed my arm and tried to twist it behind my back. I resisted and pushed him away, firmly but gently, and he walked along beside I thought, this is not too bad. After walking about two blocks, I came to two policemen at [a] train station. They blindfolded me and tied my hands behind my back. School children started gathering around us and when the train came, we all got on it. Several of the kids came by and greeted me with a kick or punch. After a thirty- to forty-five minute ride, I was led off the train and walked to a police station. The blindfold was removed. Five or six policemen were in the room. One of them in very broken English asked me a few questions. The last one was, ‘”Who do you think will win the war?” I replied, “America.” He translated my answer and they all laughed. About two hours passed before a truck stopped outside and military personnel came in. I instinctively knew the good times were over. The blindfold went back With shouts, punches, and kicks I was driven like a blind animal onto the truck bed and placed with no support for my back. I heard other voices and knew there were prisoners and guards aboard. Every time the truck took a sharp turn, I fell over— which gave the guard an excuse to jerk me back up by my hair and abuse me for falling over. The truck finally stopped after a long ride, and we were herded into a field and tied to posts. I could hear voices and knew we had an audience. I thought, this is public execution time. I hoped they would shoot us and not behead us with swords. A voice shouted with the equivalent of “Attention!”. The crowd grew quiet. Another voice gave a short speech and when he stopped, the guards started beating us. The crowd cheered. This was repeated four or five times. Then we just stood there for a while. We were untied and herded towards the crowd. They were lined up in two long rows and as we walked between them, they hit and kicked us. At one point my blindfold was knocked down and I saw our tormentors were high school age kids. It was a very terrifying experience. They put us back on the truck and after another long ride we were unloaded and taken through a gate into a courtyard. We stood there for hours waiting our turn at interrogation. I learned by listening that five of my crew were there: Lieutenant Houghton and sergeants San Souci, Le Marca, Evans and myself. Lieutenant Houghton was injured and burned. I could smell his burned flesh. There was also a flyer from another plane. Sergeant Peterson, the top gunner, was missing. As we were going to the rear of the plane to bail out Peterson approached me, very scared, and without his parachute on. I told him he had better get his chute on, the airplane was going to blow up. I thought he probably had time to get it on and bail out before it did explode. When my turn came I was led into a room, untied, and the blindfold removed. The interrogator was in civilian clothes, looked to be about 55 years old, and shouted every question at me in very hard-to-understand English. At the slightest provocation he would bang me on the head with a three foot long stick. If I flinched or anything he shouted, “Act like a soldier!.” I learned immediately I was never to show fear or pain or I was treated worse. The interrogation was a list of questions and he wrote down the answers. I was led back to the courtyard. The whole time we were there people were coming out of the building, looking at us, laughing and getting in their kicks and hits. Probably around 2000 my guard said something, and a voice answered him in perfect English by spelling my name. He explained to me the guard wanted to know what the name tag on my jacket was. Again, I was led into a room, my blindfold removed and wrists untied. This time I was facing a young Japanese officer. He told me that I was in Tokyo, in the hands of Military Police, that I was there for interrogation; and after they had obtained their information, which would take about two weeks, I would be moved to a Prisoner of War camp where conditions would be better. He was drinking hot tea and offered me some. He filled his cup and handed it to me. That was the best thing that happened to me all day. The guard again blindfolded and tied me up and we returned to the court yard. After waiting an hour or so I was herded into another building. When the blindfold was removed I was standing in front of a wooden cell. After removing my shoes I crawled through a three-foot by three-foot door onto a wood floor. The door closed and was locked with a huge padlock. I was alone. In the left comer was a hole in the floor with a cover on top and a box below which was the toilet. There was a blanket and wrapping myself in it, I lay on the floor and slept soundly all night. The building was a long single story, that had a concrete walkway on one side and six cells on the other. The cells were ten-feet wide and twelve-feet deep. The front was wood posts set about one inch apart. A small opening six inches high and twelve inches long at floor level cut in the posts was used to pass food and water into the cell. The walls were wood planks dividing the cells and you could see or whisper through the cracks in some places. The back wall had a small window placed against the ceiling that could not be reached, but at least you could see daylight. A light bulb was placed in the center of the ceiling and burned all the time. Behind this building was a pig pen. The pigs ate the Japanese mess hall garbage and supplied the cells with swarms of fleas, ticks and flies. The main building where we were interrogated was the Kempi Tai Headquarters of a special military unit, like the Gestapo in Germany. It was a two story concrete structure with cells in the basement similar to those in the wooden building in the rear. We had a routine enforced by a patrolling guard which changed every eight hours. No talking or moving about in the cells. We were awakened at 0600 in the morning, sat with our backs against the walls until 2100 when we lay down. We were fed a baseball-size rice ball at 0800, 1300, and 1600 supplemented with a tablespoon full of greens, beans or vegetable one or two times a day. A small cup of water followed the food. The Japanese never released any names or information about their prisoners. My mother and Rickie only knew that I was missing in action. But God gave my mother a dream. In this dream she saw me in a wooden cell counting out beans to other cell mates. This is exactly what we did and each person might get ten or twelve beans. From that dream she believed I was alive. In the next few days I underwent three or four interrogations during which the Japanese wanted to know my personal history, military training, information on each mission flown, where the bombs hit, etc. When it came to the five fire-bombing missions, the interrogator insisted I say the fires killed innocent civilians. In the process, with him shouting, “Act like a soldier”, I asked him why I wasn’t being treated like a soldier under the Geneva Convention for treatment of POWs. Bang! Bang! Bang! Came the club. ‘”You are not a soldier! You bombed and killed innocent civilians! You are a criminal!”, he screamed at me. In the end I signed a fourteen-page confession containing the statement that I had killed innocent civilians on the five fire raids. On my second or third night in prison at 0900 P.M., the guard came down the cells telling us it was “lie down and sleep time.” When he came to my cell he told me goodnight in Japanese, and asked me how to say goodnight in English. I pretended to not understand that he wanted me to learn the Japanese phrase and teach him the American phrase. He repeated the phrase three or four times and started getting angry at no response from me. Thinking he understood very little English, when he said in Japanese, “Goodnight and American ……..?” I said, “American go to hell.” He immediately started cursing me in Japanese, ran down to the end of the cell block, filled a bucket with water, ran back to my cell and threw the water on me. My clothes were soaked, the floor in the cell was wet, the temperature was probably 40° and I was cold, wet and miserable for two or three days and nights. I caught a cold that lasted two weeks. I learned to be more cautious with the guards. From that time on he became my personal tormentor. I named him “Double Ugly.” When he came on duty he delighted in coming to my cell and making me stand against the wood posts while he shoved his bayonet at me through the space between the posts. I would jump back avoiding the thrust. It was a big game to him, but could have been deadly for me if my timing was off. I had been in the cell about a week when an injured P-51 pilot from Iwo Jima was brought to my cell. His forehead had a gash about three inches long and deep into the skull. Also his face and hands were burned. He was doing low altitude strafing and collided with some utility lines and crashed. I poked food into his mouth, gave him water, helped him use the toilet, and kept him from scratching the scabs off his face and hands. He said the itching was almost intolerable. He lived but healed very slowly due to malnutrition. [This] pilot attended Massachusetts Institute of Technology before entering the Army Air Corps. He told me he recognized the young Japanese officer, who had given me the cup of tea the first day, as a graduate of M.I.T., class of 1941 and that he had obviously just returned to Japan a few months before Pearl Harbor. No wonder he spoke perfect English. San Souci, the right gunner, was added to the cell after about ten days of captivity. About four or five days later we got a shock when the guard came to the cell and said, “Reynoldo, we have your friend.” There stood Peterson, the top gunner. We had been wondering what had happened to him. Like the rest of us, he had landed in the hills but he had decided to evade capture. (There was no escape plan from Japan.) All he had to eat was some plants and one craw fish. After fourteen days hunger drove him to approach a farm house. He saw the farmer and family were just starting to eat supper so he held his gun on them until he ate their food. Then he gave the startled farmer his gun and surrendered. The farmer got the police and then gave Pete a good beating for eating his food. Pete had lost more weight than we had, but looked pretty good except for his foot. In his evasion he had gotten his foot wet and it had frozen and was black and swollen. It started paining him badly, so San Souci and I thought if we could get it lanced it would drain and reduce the pain. We talked the guard into lancing it by sticking his bayonet in it. We got the guard to get us a paper concrete bag from the construction outside and wrapped it around his foot to hold down the odor and drippings. We got a bag change whenever we could from a cooperative guard. Prisoners were being brought in every day or so and they were segregated from the older prisoners. One time I was moved 10 the basement cells in the Headquarters building. When the cell door opened, I saw that the cell contained six or eight Japanese. One of them wore a military uniform. When the cell door closed, one of them asked if I was American. I replied, ‘”Yes.” He immediately stuck out his hand to shake hands with me. I backed away from him wondering what was happening. He said, “I Socialist. I Socialist.” It finally dawned on me he was talking about a political party. I got into a shoving hassle with the soldier about food once. I did not sleep very well lying down beside the enemy, but we shared the common miseries of hunger, cold, lice, and fleas. By late April there were thirty to forty flyers in the jail brought in from all over Japan. One morning several guards came to the cells and started calling out names, giving them shoes, and saying they were being taken to a POW camp. Peterson was on the list. But six of us were left behind: four from my crew, the crew member captured the same day we were, and the P-51 pilot. The propaganda radio program known as Tokyo Rose had said that flyers that attacked Japan would be killed. Some of the captured Doolittle flyers had been executed. We did not bother putting on our parachutes for the first three or four months of combat missions. But we were briefed in March that some flyers were being taken prisoner. We were not too shocked by his statement. Again, captured flyers were brought into Kempi Tai a few at a time until the cells held thirty to forty. About May 20th all prisoners were again taken to a POW camp, we were told, except the six of us. I found out after the war was over that both groups of prisoners did not go to a POW camp as claimed, but were in fact taken to another part of Tokyo and put in another jail. The building they were in caught fire on the 24th of May from the 600 B-29s fire raid and all were killed. 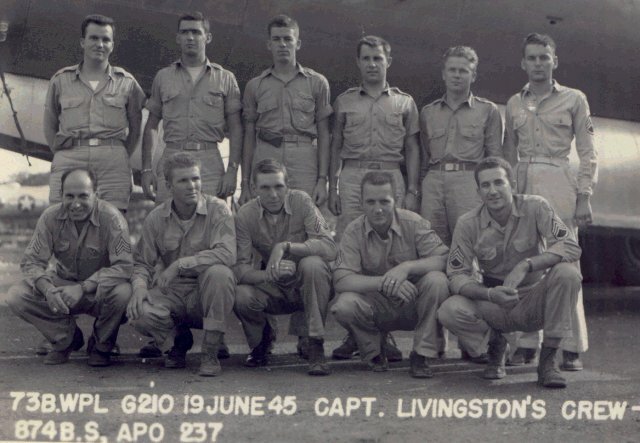 U.S. authorities eventually identified sixty- six airmen that had perished. I praise and thank God that He prevented the Japanese from carrying out their threats. I spent most of my four and a half months at Kempi Tai in my original cell. 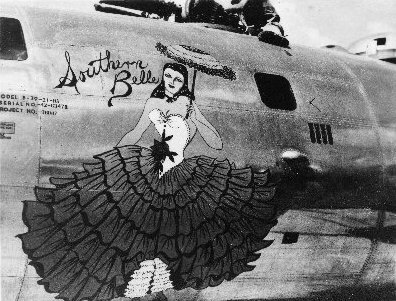 It had contained a Doolittle flyer in 1942. On the wall he scratched his name, the date he arrived, and a calendar of sorts with thirty-seven scratches representing his days there. Below he had scratched, “I TRUST IN GOD.” I used to look at that and wonder what it really meant to trust in God. It was 1954 before I found out. 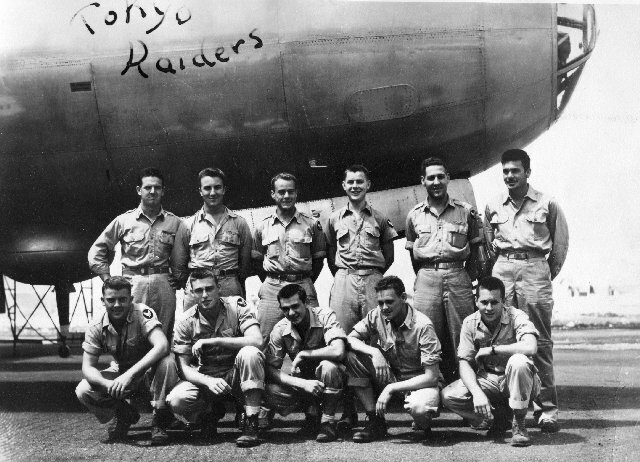 On May 24th and 26th, six hundred B-29s fire bombed Tokyo and destroyed the rest of the city. Fire bombs rained all around us, but none hit our wood building. The flames and smoke nearly choked us and the heat was almost unbearable, but we survived. Thank you. Lord, for your mercy. The Japanese defenses had been strengthened against the low-flying bombers. Antiaircraft guns had been moved on top of all concrete buildings and many into open lots. Since electrical power always failed, they devised a primitive but effective warning and firing plan. The city was divided into small areas. Gongs were put in these areas to alert the gunners. 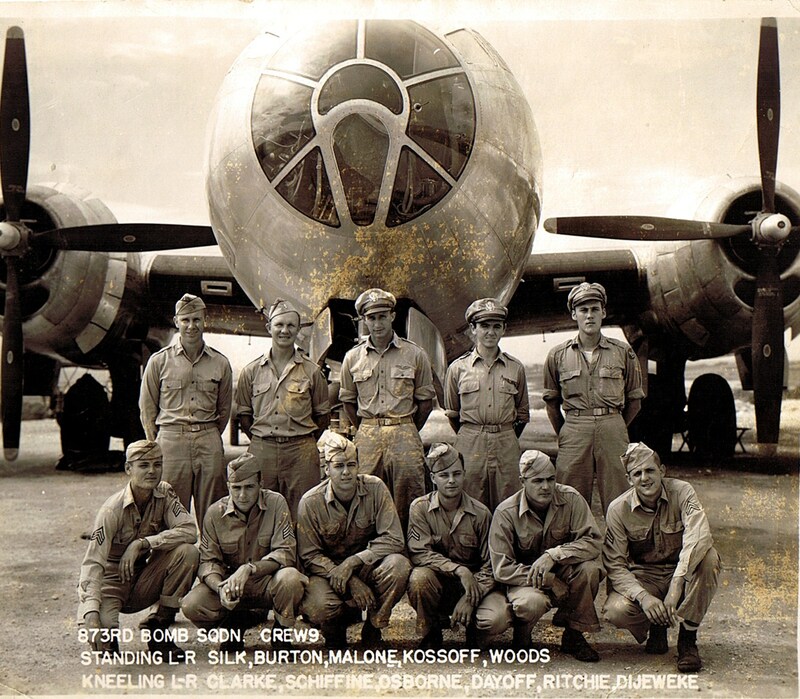 When a B-29 was sighted, a gong would sound. The guns would start shooting at the plane if they could see it; if not, they shot as fast as they could with shells set to explode at the bombing altitude, expecting the plane to run into their fire. They shot down twenty-four planes the first night and twenty-eight the second night. The planes carried canisters similar to fifty-gallon oil drums, loaded with little five-pound fire bombs. These canisters were dropped and then detonated at 2,000 feet altitude, raining burning fire bombs over a large area. This is what it sounded like to us on the ground. We would hear the gong, the antiaircraft firing, the B-29 engines; then if the plane was hit, the crowds in the street would clap their hands. This was followed by the explosion from the detonator, and the little bombs exploding like firecrackers and falling down with a whistling sound. Then we would hear the shrieks of the people and the clatter of their wooden clogs as they scurried about dodging the falling bombs and the pools of fire. In the next few days a lot of flyers were brought into Kempi Tai, several in bad condition. They were burned, injured and beaten by the population. Three or four that had inhaled flames died in a day or so. One flyer two cells from me was badly burned and in terrible pain. He alternated screaming with pain, begging the guards to kill him, and taunting them with every four-letter word imaginable, for two days and nights, before he quieted down. After about a week when it seemed like he was going to live, two guards took him out of his cell and killed him with their bayonets. A co-pilot, who was the only survivor on his crew, told how as he was descending in his chute that the crowd followed under him on the ground. When he landed he was beaten, hung from a lamp post with his parachute shrouds, choked unconscious, cut loose and rescued by a soldier. The cells became crowded as more flyers were brought in. We had fourteen in my cell. The small cells did not allow much floor space per man. With heads against the walls our legs overlapped to the knees. Most of us had to lie on our sides all night. For months after liberation I could not sleep on my sore sides, and to this day I cannot sleep with anyone touching me. Abuse by the guards was getting worse. If we were caught talking, a common punishment was to do the Japanese kneel-down. On days when bombings had taken place, we all were made to kneel by the hour. Or they would make us stand up with arms raised. As things got worse for them, they retaliated against us more. Our water was reduced to three men per cup full, and one time we went without water for three days. Another day around this time, there was a dull thud in the court yard and the guards were laughing. They told us a flyer had been pushed off the Headquarters building balcony and was killed when he struck the pavement in the courtyard. I had a strong will to live fueled by two motivating forces—hate and love. I hated those Japanese guards. I spent hours upon hours planning how I would get even with them, finally deciding that when we were liberated I would capture the civilian interrogator and the guards, and put them in the cells we were in, and treat them like they treated us. That was the worst punishment I could think of. My love for Rickie was the strongest motivating force. I could dose my eyes and visualize her in all her beauty. Though I could not feel her touch, I could just see her and know that she would be there when I got back to her. In July the guards started telling us that the day U.S. forces invaded Japan all prisoners would be killed. It was obvious orders had come down from higher authority to this effect. The Japanese were preparing for the invasion. Concrete pill boxes were being built in the prison area. Civilians were undergoing military training. We could hear a formation that met in the early morning once a week. They started off by singing their national anthem, then did exercises and close order drill, followed by bayonet practice with bamboo spears. If an invasion had taken place the loss of life would have been horrifying for the Americans and Japanese. Around August 10th a Navy aircraft carrier pilot was brought in. Word from him got around that he heard on the radio just before take-off that some kind of new bomb had been dropped on Hiroshima and destroyed the city. We could not imagine that, and thought perhaps it was an exaggeration. On August 15th we were awakened at 0500 in the morning, one hour early. Breakfast rice was brought at 0600 instead of the usual 0800. Shortly thereafter a group of guards came in and started calling off the names of prisoners, one cell at a time. Shoes were made available, blindfolds were put on and arms were tied as usual. But it was strange that the guards were not knocking us around. I complained that the rope around my wrists was too tight and it was loosened. We were told we were going to that long awaited POW camp. There were 125 prisoners. After a long truck convoy ride, followed by a wait on the trucks for an hour or so, we were unloaded, untied, and blindfolds removed. We were near a sandy beach on a small island in a bay. Next, we gladly obeyed the order to strip our filthy lice and flea-ridden clothes off and get in the water. It was warm salt water and felt wonderful. A couple of tanned and muscled British POWs appeared and with sticks gingerly loaded our clothes on a cart and left to wash them. After wading around in the water for a while, we were directed to a fenced compound and taken to a barracks. A fiber mat was provided to lie on and we were ordered to stay in the barracks. Lunch was brought to us on a cart. The rice was hot, tasteful and more than we got for all three meals previously. Our clothes were returned dean and bug-free. The British said they boiled them to kill the lice. That afternoon a Colonel Charmichael came to our barracks. 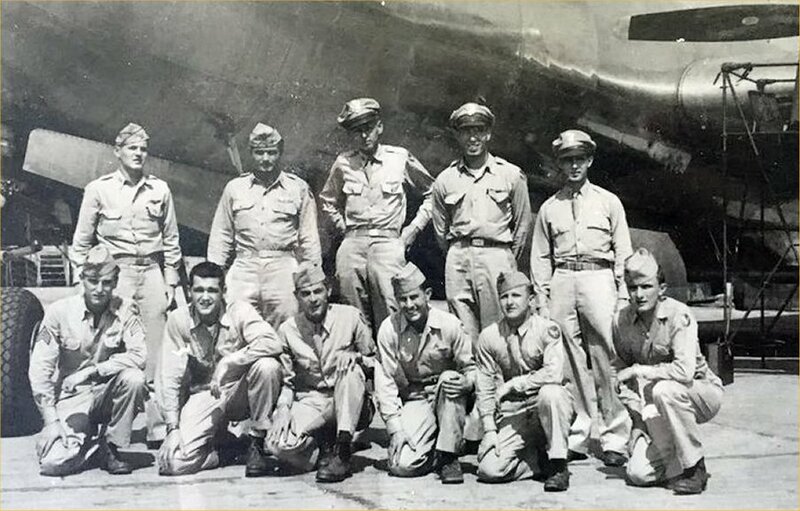 He was a B-29 Group Commander in China when he was shot down. He told us another Group Commander from Saipan named King and forty-eight other flyers were in a nearby barracks, but were kept segregated from the British. Even so, he heard from the British that Japan had surrendered, but the guards were not saying anything. He said if we were patient we would surely know something in a few days. Sure enough, in a day or so a Navy fighter buzzed the camp and dropped a carton of cigarettes with a note that said the war was over and they would be in to get us in a few days. In the meantime we were living in hog heaven. Our hair was clipped down to the scalp because we had scabies. Razors were supplied and we shaved. A big wooden tub was filled with hot water. We soaped up and rinsed off and then entered that steaming hot water for a few minutes. All of this was a first in five months for us six “war criminals”. The food remained plentiful and tasty. We relished the freedom of lazing in the sun and talking to each other until we were hoarse. I was a skeleton, but in good health, except my knees and ankles were swollen and ached. Also, my lips and the end of my tongue had bad cracks in them. We got to see the British doctor in three or four days, and he said my condition was caused by malnutrition and vitamin shortage. The Japanese gave us some Red Cross supplies they had been withholding, and we got several boxes containing 3000 vitamin tablets which we ate like candy. After a few days the guards painted large PW letters on the roofs of our buildings. General McArthur had ordered them to identify all POW camps by this means. A couple of days later a B-29 appeared flying low and parachuted us oil drums filled with food. So, during the last week in captivity we had all the meat, vegetables, and fruit we could eat. With all that good food for two weeks, I gained at least ten pounds, but I was still very weak. The last few days we mingled with the other group of flyers. There were 3000 flyers missing in action during the air war on Japan. Only 175 lived to the end of the war. I thank God that I was one of those who survived. S/Sgt. 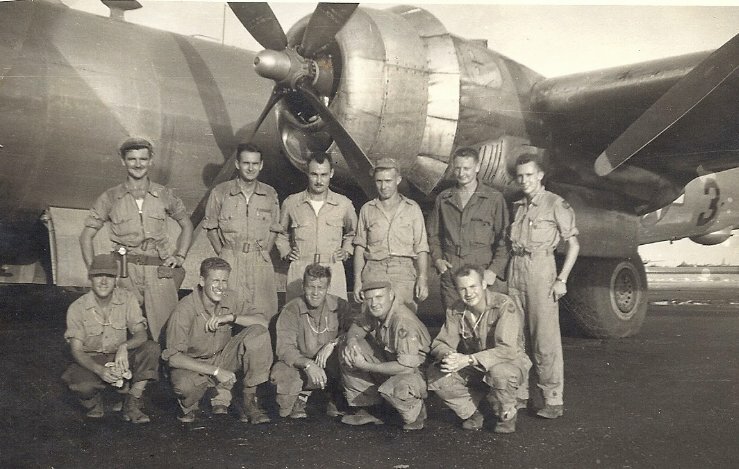 Francis (Frank) Reynolds was a B-29 gunner in the 498thBG, 874th Squadron based on Saipan. He retired with the rank of Lt.Col.USAF. From a manuscript e-mailed to me by Gib Buckbee, whose father was a friend of Reynolds. Letters written to W.C. Atkinson by Allied Prisoners of War in Ube, Japan, 1945. There was one more combat mission from Saipan (Number 14 to Usaka Arsenal, August 14th) and, after V-J Day, we flew two or three times to Japan to drop supplies to prisoner of war camps. On several occasions we crawled out into the bomb bay to stuff notes into the duffel and, months later, received several grateful and humorous letters from the recipients—mostly English and Aussies. Just a few lines thanking you and your crew for the excellent way you dropped our PW supplies in Ube, Japan. It was certainly a godsend and saved a few more lives. 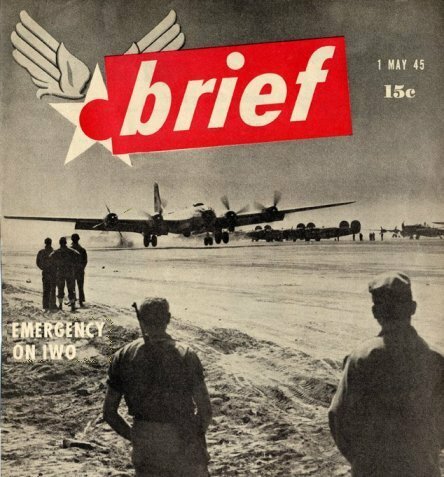 When we got news that supplies were going to be dropped we had spotters on the roof looking for B-29s, or, as the Nips call ’em: B-Neegoo Koo’s, and when they did come it caused quite a lot of excitement. The boys could hardly believe their eyes and believe me they were very thankful. A lot different to dropping bombs. We had quite a bit of fun every time you roared over the camp. Spotters shouting “Traps open. He’s going to drop it this time.” and down it would come. I would like to write a whole story about the time after you dropped [those] supplies but not writing for nearly four years it seems funny with a pen in your hand. It is quite a treat to be back to civilization again. Thanks again and many thanks. My two pals also send their appreciation. From a Cockney lad and two pals, Charlie, Wag, Bob. Just a line thanking you so much for the supply of food and clothing. I must say it was a grand sight seeing it all dropping down. One day starving and the next plenty for everyone. It saved a “hell” of a lot of lads’ lives, who was just on their last legs. We had 286 chaps in our camp [at] Ube. One died the day after you came. We left Japan on USS Hospital Consolidation, went to Okinawa, then to Manila from here to San Francisco, then England. Once again thanks a lot hoping you get home for Christmas, all the best. By the time you receive this letter knowledge of our long ordeal in Japan will be common to all therefore, it seems nothing I can say will adequately express the gratitude we feel for your splendid efforts on August 28th, 1945. Starved of those commodities for three and a half years which you so conveniently put down for us, we were frantic with joy and for the most of us it was the best afternoon entertainment ever experienced. Personally, my greatest joy was to see your magnificent B-29 at close quarters. I’ve served in heavy anti-aircraft artillery for many years and have a natural interest in A/C [aircraft] and whereas hitherto I’ve only seen you at 30,000 feet or so and admired from afar, a treat such as this I’ll never forget. I must relate some of the incredible coincidences which occurred with your supply aiming. Our camp shoe repairer, who for years past has been trying to patch up footwear with bamboo accessories, received a sack of boots through the roof right into his bed. Another camp received tinned meat supplies through the cookhouse roof right into the boiler! And this will amuse you I’m sure. A ‘chuteless canister hurtled into a large row boat just off the shore and instantaneously sank it. Twelve passengers who were watching the show suddenly found themselves up to their necks in water—all in true Mack Sennett [slapstick] style. The star report comes from a nearby Nipponese latrine. An aged Japanese woman was astride one of their primitive privies when another ‘chuteless drum thudded into the back of it and blew the old woman out into the road covered from head to foot in peaches and mire. We are all English here except three American medical men from whom you will no doubt hear and we are all mighty pleased you dropped your note giving us an opportunity to thankya for the good work. We were taken in Java in 1942 and have never lost faith in Uncle Sam although at times we thought you were getting a little personal with the rough stuff—we’re the luckiest people in the world. Anyhow, the supplies will help us to be patient while we wait for repatriation.